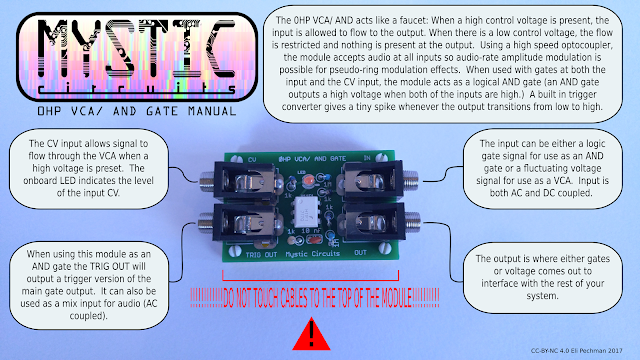 The 0HP VCA/ AND acts like a faucet: When a high control voltage is present, the input is allowed to flow to the output. When there is a low control voltage, the flow is restricted and nothing is present at the output. Using a high speed optocoupler, the module accepts audio at all inputs so audio-rate amplitude modulation is possible for pseudo-ring modulation effects. 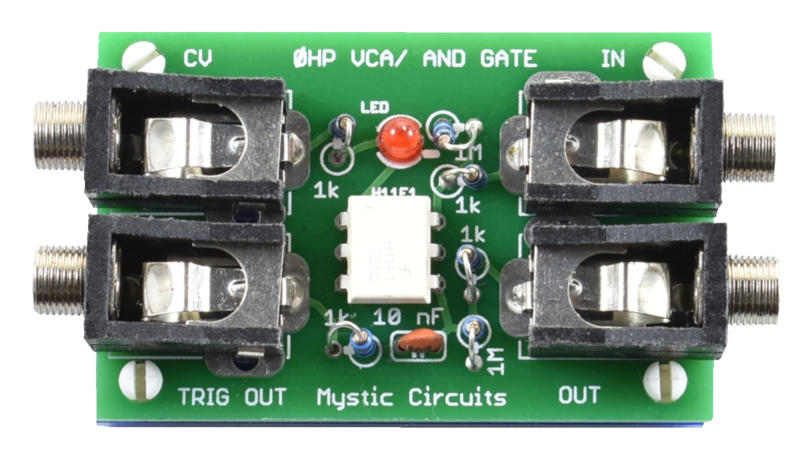 When used with gates at both the input and the CV input, the module acts as a logical AND gate (an AND gate outputs a high voltage when both of the inputs are high.) A built in trigger converter outputs spike whenever the main output transitions from low to high.